With a dedicated engineering team, working on the rotary engine for the past eight years, the RX-9 is one of more eagerly awaited cars to be launched. According to Holiday Auto, a Japanese publication, Mazda’s bosses have formally approved the vehicle’s design and engineering. It is highly likely to use the RX-9 model name and the launch of the car will coincide with the brand's centenary. It is also reported that a prototype is expected to be revealed at the 2017 Tokyo Motor Show as a preview before the car is revealed in 2019. Sales of of the RX-9 is expected to follow in the next year. The car will come with a 1.6-litre SKYACTIV-R engine, which will develop 400 hp with the help of a turbo and Homogeneous Charge Compression ignition (HCCI) which combines turbocharging and an engine with a high compression ratio. Lovely, wonder how many rotors. Hopefully it is as fun a ride as RX-7. I'm wondering why only 400hp when the new NSX has in excess of 570hp. 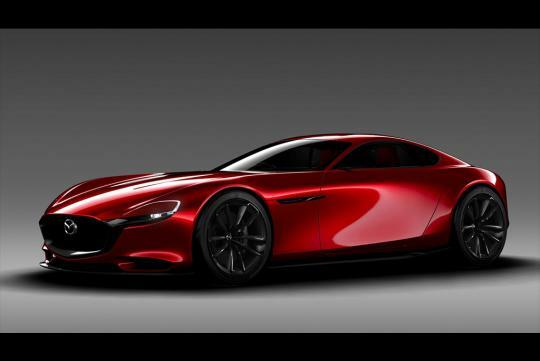 I'm sure Mazda can do better than just 400hp.. Hope to hear some finalized figures. The new NSX is heavy compared to the old car. If Mazda can keep the RX-9 sub 1400kg. 400hp is quite good. I am sure they can put 500 or 600 in there, but costs will go up. In traditional JDM style, the idea is keep it out of the price stratosphere but leave enough options to tune. The new NSX isn't quite in the traditional JDM mould.